SHUcard - Your Best Friend on Campus! Not only is it your student ID, but it also gives you access to buildings, sports facilities and some of the best discounts around - £1 Wednesday anyone!? Use it as your payment method and you'll be rewarded each time you spend! You'll get your SHUcard when you enrol. Make sure you bring your biggest smile as this is when you'll have your photo taken for your card (FYI this lasts the whole time you are here, so make it a good one). Then spend, save and win! Every time you top up with £25 you receive £1.25 in loyalty points - that’s a free coffee! For every £1 you spend in catering outlets and The Print Shop, you'll get 5p back in loyalty points. Visit SHU Browzer to access the latest offers, including the famous £1 Wednesdays! Pay using your SHUcard and get exclusive access to our fantastic offers and competitions all year round! Use your SHUcard for your chance to win flights, festival tickets, hotel stays and much much more! SHUcard has saved some students over £300 per year! 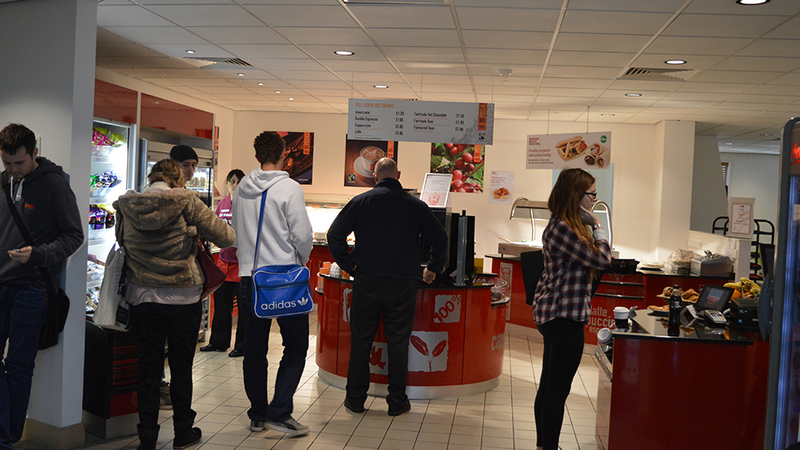 So, whether you're grabbing lunch at Chef Hallam Central, or printing your poster assignment at The Print Shop ﻿- don't forget to use your SHUcard. Keep an eye on SHU Browzer for monthly SHUcard deals, offers and competitions!